Marawi City (MBA): Recovery, reconstruction, and rehabilitation efforts are ongoing in the war-torn city. 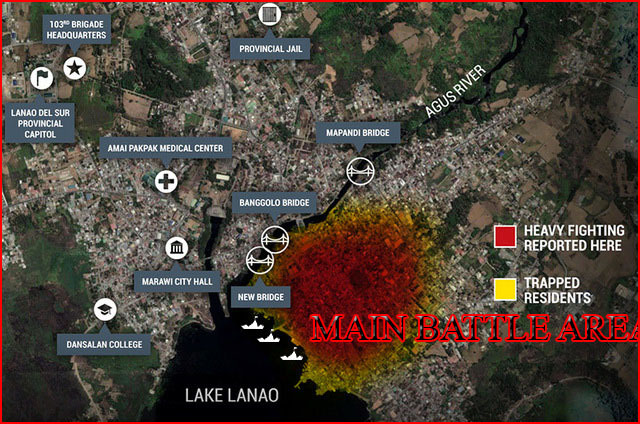 According to PNA or Philippine News Agency, Marawi City’s main battle area's (MBA) all roads are now cleared and that the recovery, reconstruction, and rehabilitation efforts are ongoing in the war-torn city. Among the establishments that need repair and rehabilitation are St. Mary’s Church, Grand Mosque, and Bato Mosque. AFP chief-of-staff Gen. Rey Leonardo Guerrero said, “The AFP lauds our combat engineers who, in the first weeks of the Marawi Crisis have been present in the main battle area to support our operating units. As we transition to the rehabilitation phase, their services will significantly be needed in order to successfully get Marawi back on its feet"
“Rest assured that our troops will remain steadfast in its support operations towards the recovery, reconstruction and rehabilitation of Marawi City,” he added.